iSIGNS Inc. is a national wholesale sign source specializing in over 3,500 eco-friendly LED-illuminated traffic-control signs and signals (Bank Lane, Drive-thru, Open Closed, Enter Exit, Safety Signs, and more); Exterior post and panel signs for identification, wayfinding and parking; Interior wayfinding signs with user-changeable inserts; Perma-Banner 5-year vertical street pole and lamp-post banners. All products are proudly manufactured locally in northwest Pennsylvania and shipped to clients throughout North America. Contact iSIGNS toll free at 866-437-3040. We are Working to be Your Preferred Sign Source. Energy Saving LED Signs, Directional Lane Lights and Signals improve efficiency. 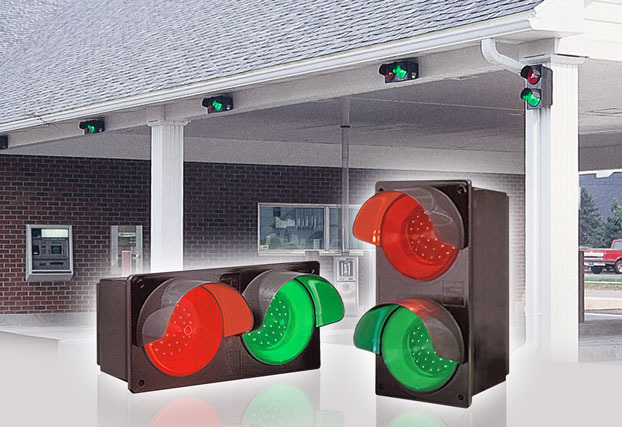 Economical red/green Stop & Go Lights for bank lanes, loading docks, etc. 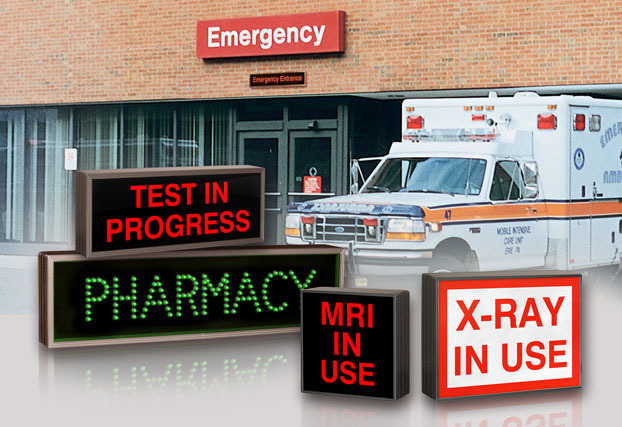 Energy Saving LED Safety and “In Use” Signs for healthcare/diagnostic facilities. LED Directional Lane Lights and Signs for automotive dealerships and service lanes. 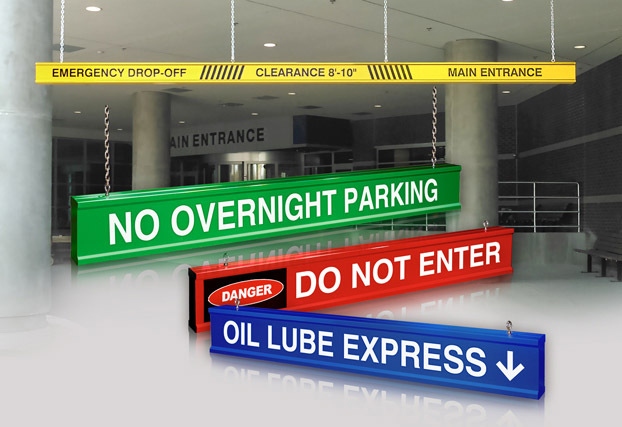 I-BARs for overhead low clearance, safety, warning, wayfinding or directional signs. 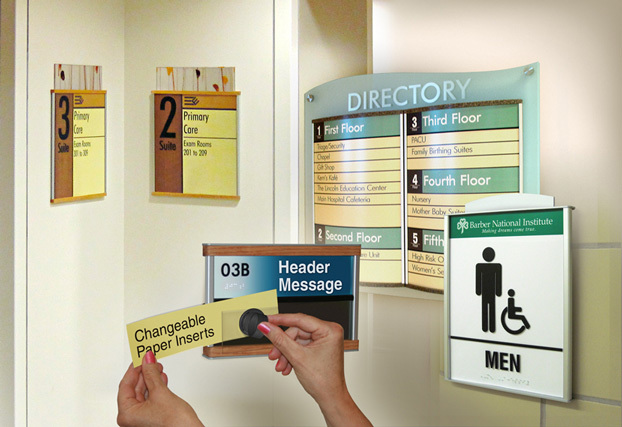 Modular Interior System creates wayfinding and ADA signs with changeable message inserts. 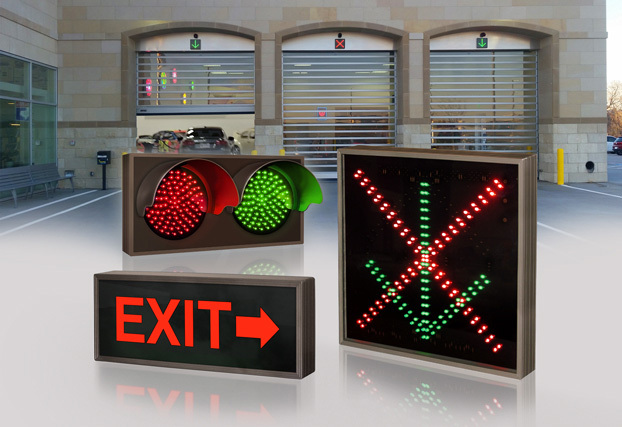 iSIGNS provides compact LED Backlit and Direct-View LED Signs for Bank Lanes, Parking, Warning and Safety applications. These signs are maintenance free, quickly available and save customers up to 90% in energy costs annually. 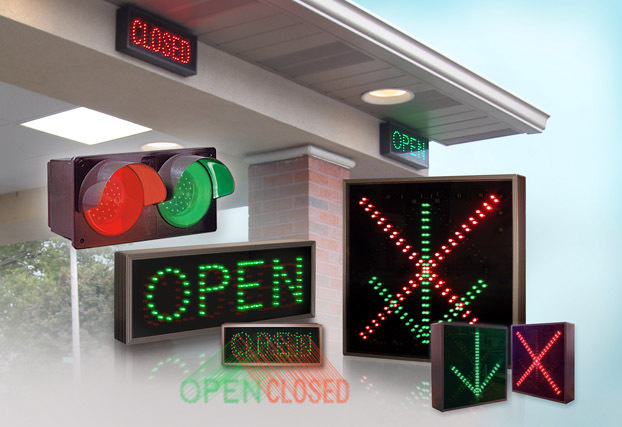 We are also an authorized dealer for HID Modular Interior Wayfinding and ADA office signs with user-changeable inserts; and Perma-Banner custom shape, “No Fly Away” street pole banners. 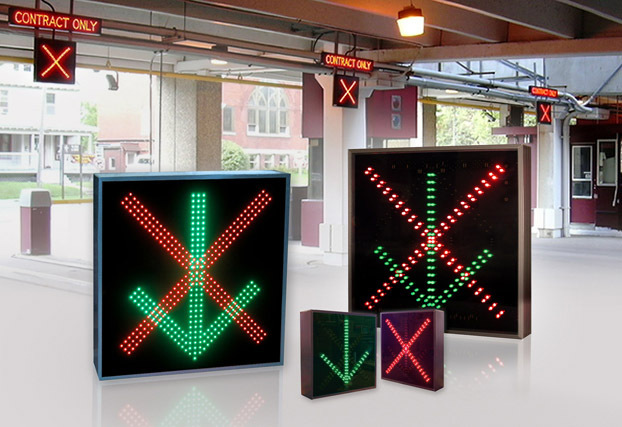 Our maintenance free LED illuminated Traffic Control Signs and Signals direct and keep traffic moving in and around congested traffic areas. Units are successfully used by drive-in banks, parking garages/facilities, airports, transportation terminals, car washes, warehouse and distribution centers, drive-up pharmacies, educational facilities, loading docks, and more. Helping the world go green one eco-friendly sign at a time! 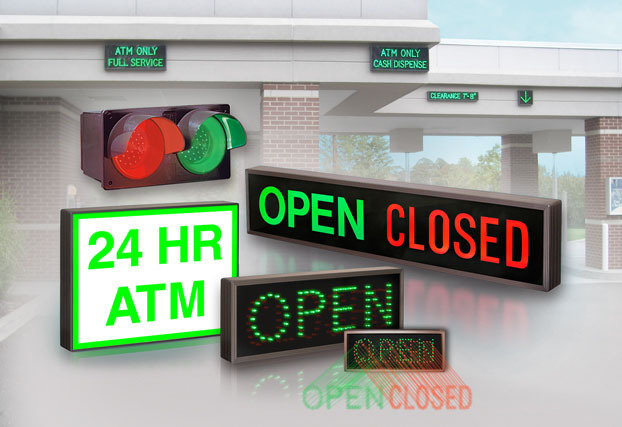 Our sign products use 75% recycled aluminum material and energy efficient LED illumination using up to 90% less energy than similar neon or incandescent units. Learn more about our energy efficient signs.